The Terrestrial Monitoring Program (TEMO) is a component of a larger, interdisciplinary Integrated Watershed Monitoring Program (IWMP) at CVC that commenced in 1999. The Terrestrial Monitoring Program is currently divided into two main components: TEMO and TEMO Urban Impacts. Permanent plots are monitored at which hydrology or soil parameters, vegetation and faunal indicators are measured annually (Fig. 2-4), with landscape indicators measured at approximately five year intervals. The programs are integral to CVC’s Adaptive Environmental Management approach, support Natural Heritage System planning, and are significant components of the Integrated Watershed Monitoring Program. As a branch of the TEMO program, TEMO Urban Impact monitoring and assessment allows for the measurement of the impacts of urbanization on the plants, wildlife and soils within communities of the lower Watershed. 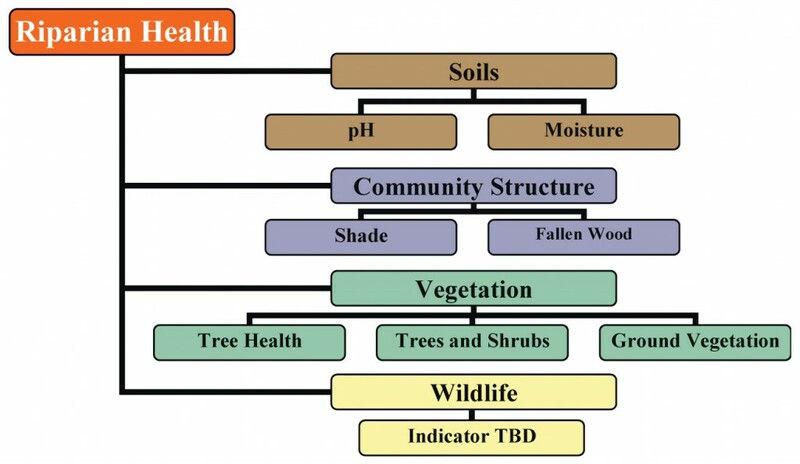 Plots located in urban areas have the potential to measure impacts of restoration or intensified development activities on ecological indicators. Plots placed at rural-urban fringes in the Credit Watershed, where feasible, also allow comparison of habitat variables pre- and post-development. The results of this tier two, site-specific monitoring can be pooled with other monitoring plots in order to make more generalized conclusions about impacts of different land-use practices at a Watershed scale. Measure indicators to establish baseline conditions and assess ecosystem integrity of the Credit River Watershed. Identify status and trends in the integrity of terrestrial communities at the watershed scale, and link to overall watershed integrity. Identify spatial patterns in terrestrial community integrity. Provide meaningful data on which watershed management decisions can be based. Determine whether CVC policy and management recommendations are sufficient to protect natural heritage features in urbanizing regions of the Credit River Watershed. 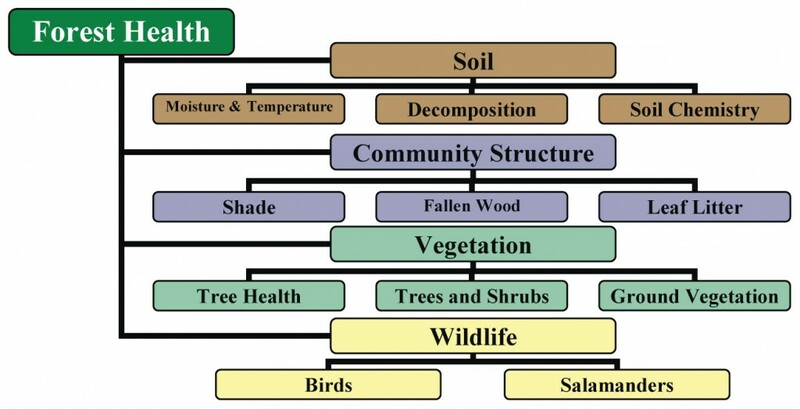 Recommend options for management of natural areas to improve terrestrial community integrity. How is the Credit River Watershed changing through time? 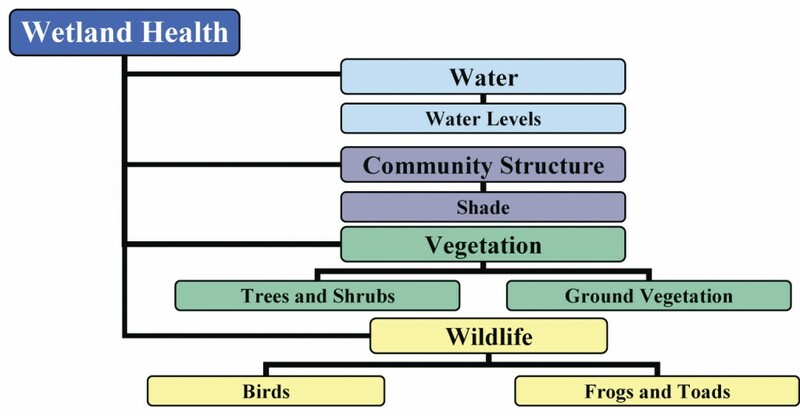 How does landuse affect the flora and fauna communities in the Credit River Watershed? 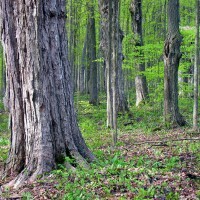 How can restoration or management practices maintain the integrity of existing natural areas?